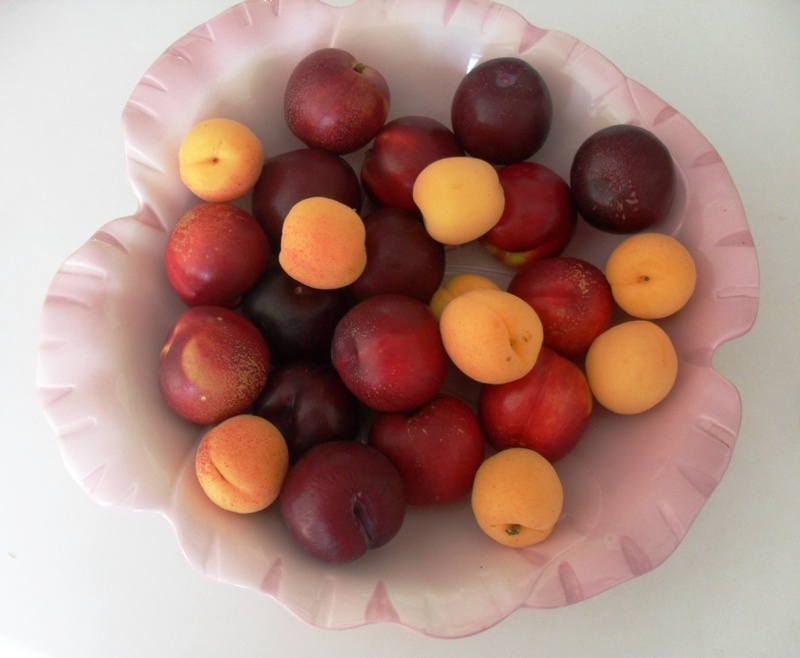 I love reading what is happening in other blogger’s kitchens all over the world. This challenge is the brainchild of Celia of the blog Fig Jam and Lime Cordial. If you want to show us what is happening in your kitchen, please link back to Celia’s blog and leave a message on her blog to say that you are participating. The latest South African magazines, as always! I love baking biscuits and I have cookie cutters of all sizes and shapes. 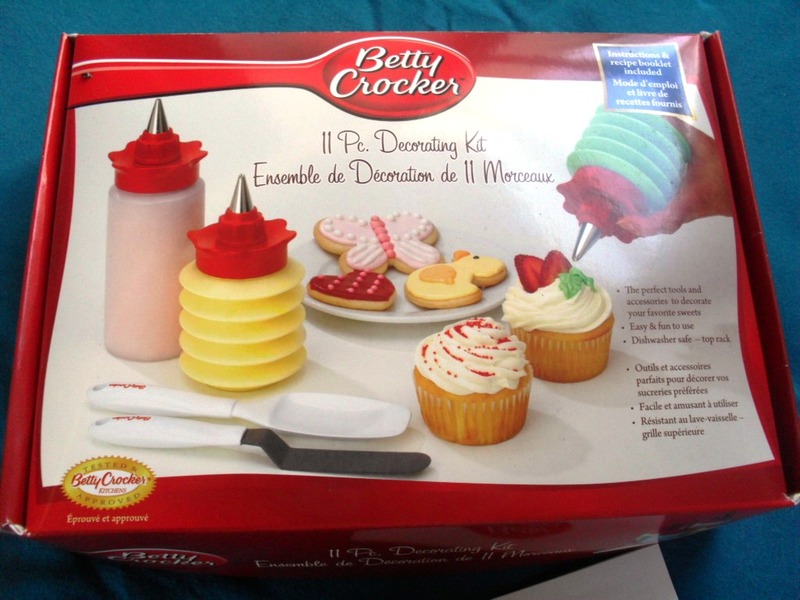 I use to do a lot of biscuit decorating in the past and when I saw this decorating kit I decided that I must start again and this will make it much easier to decorate biscuits. 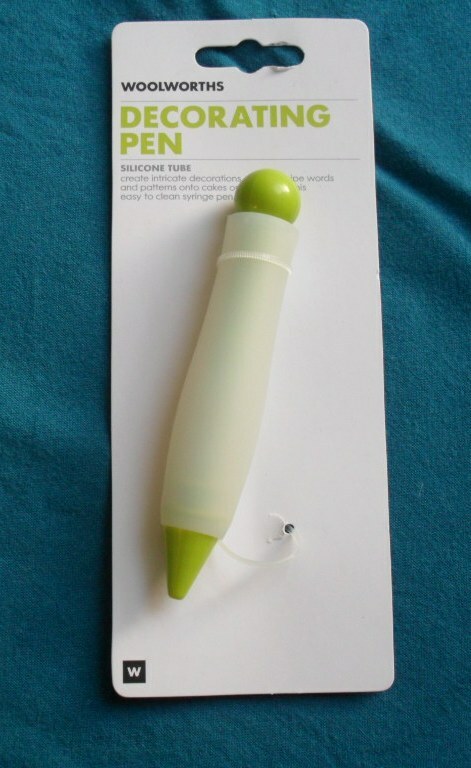 I found this decorating pen, which can be used for decorating biscuits or plates! 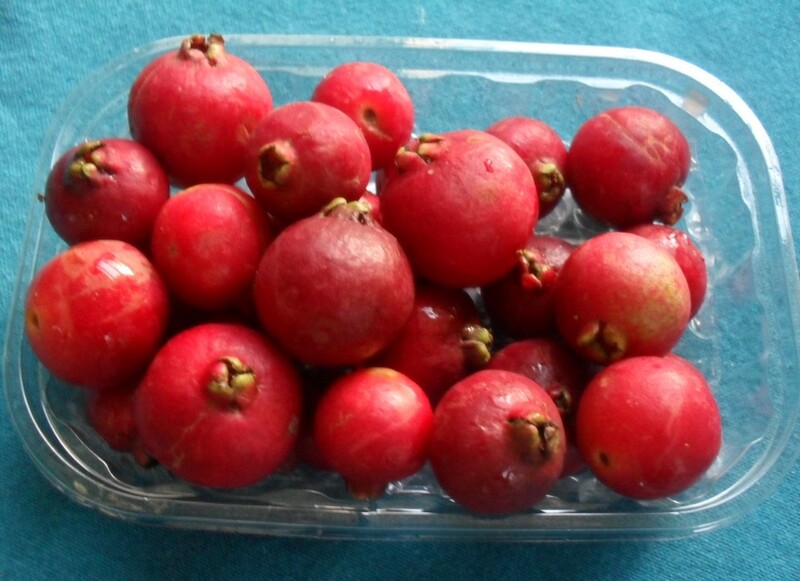 Delicious cherry guavas – it tastes great with some home-made vanilla ice cream! That is it from me. 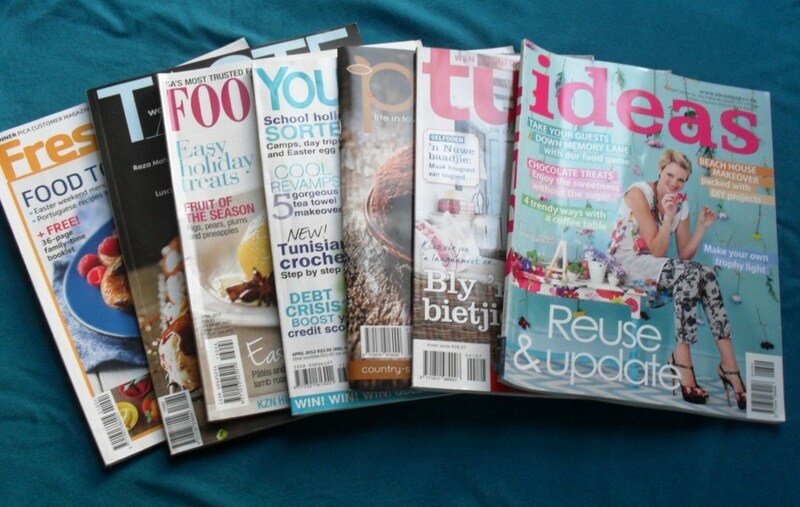 Unfortunately there is not too much happening in my kitchen this month! 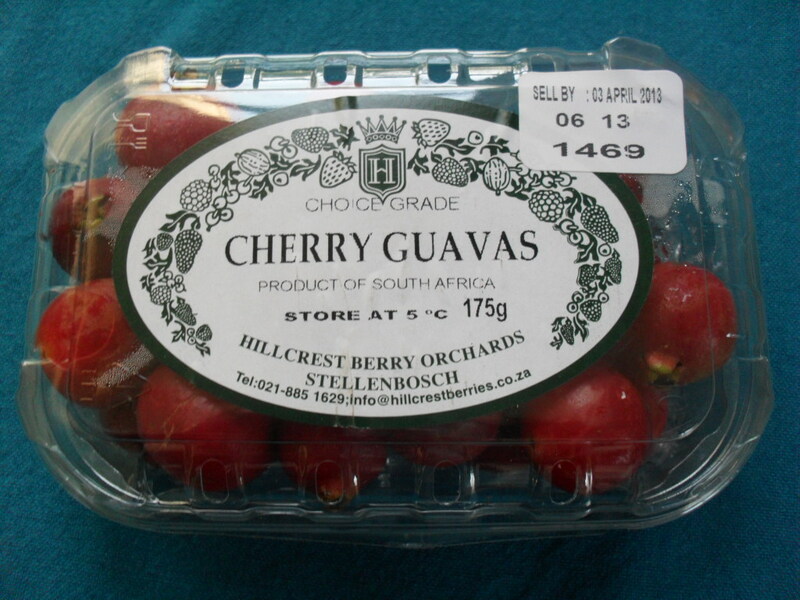 I enjoy the cherry guavas tremendously! 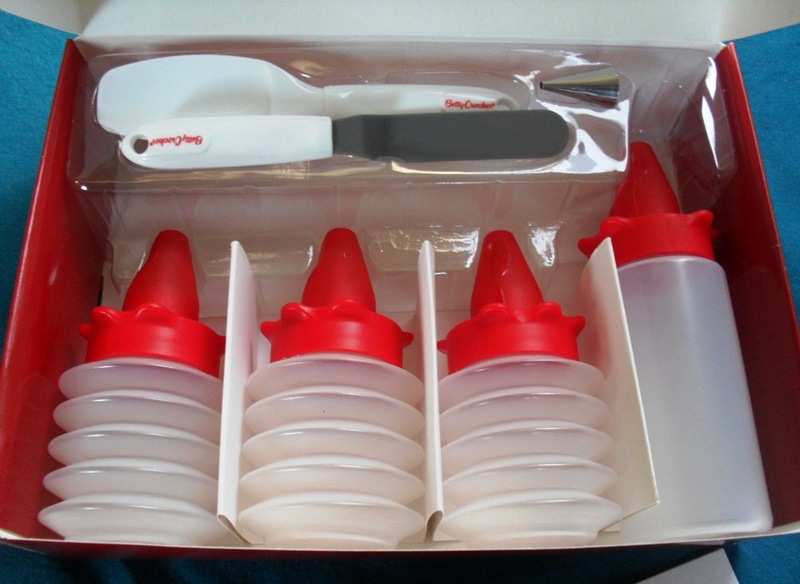 I haven’t tried the decorating kit, as yet! Ooo, I love your decorating pen – I need to see if our Woolies has then in stock. And I’ve never even hears of cherry guavas!! It is delicious and quite expensive, and apparently it is quite common! Out of all your magazines I buy the Tuis (Home) magazine. It’s the best. I must ask my daughter-in-law if she knows about some of these decorating gadgets. She’s into baking cakes. The Tuis / Home magazine is really excellent! What do you do with those cherry guavas. there is a tree right in front of my house full of the stuff. I have one of those decorating pens, but cant seem to use it right. would love to see what you do with it. No, enough is enough! I want the weekly menu and I want it NOW! I must go and get some of those cherry guavas! I believe it is common in KwaZulu-Natal!? Hi Zirkie, I have never seen cherry guavas before. What do they taste like?